According to a history of the Wiregrass area published by the Coastal Plain Area Planning & Development Commission, Thomas M. Ray began operation of the grist mill originally known as “Knight and Ray’s Mill” on November 7, 1863. General Levi J. Knight, long time friend, partner and father-in-law of Thomas Ray, died on February 23, 1870 in the community he founded. Afterwards, Thomas M. Ray bought out L. J. Knight’s interests in the grist mill and the land, including water-flow rights, from the General’s estate. 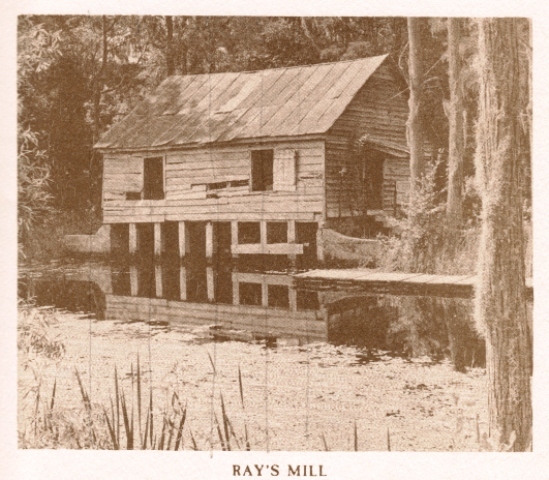 Over time the mill became the focal point of the community which came to be known as Ray’s Mill, GA, now known as Ray City, Berrien County, GA.